"Leverage" is back on TNT this Sunday night at 9 p.m. ET/PT for its fourth and most exciting season yet. I know, I know — everyone always says that. However, having seen the season-premiere episode in all its epic, snow-bound glory, I can vouch for that claim of viewer excitement. The season opener has our favorite con-artist team trekking to a winter wonderland to help a woman whose husband (guest star Eric Stolz) has disappeared and who might be a victim of foul play. 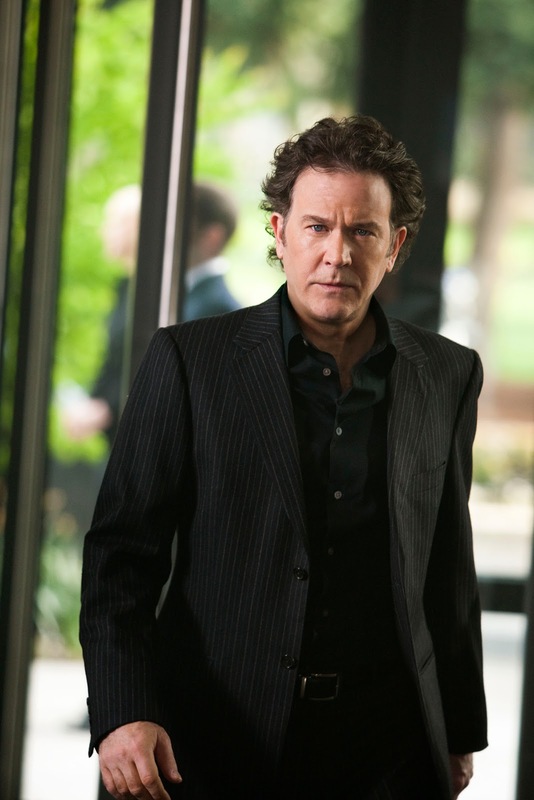 I spoke with series star Timothy Hutton about the show's new season, and he is just as excited as I am for fans to see what the Leverage team has been up to, and where they are going from here. Celebrity Extra: After watching the season four opener, I am freezing just thinking about it! What was the filming like for that episode? Timothy Hutton: It was an amazing experience. Everybody arrived from their different places: Dean Devlin from L.A. along with Beth Riesgraf and Aldis Hodge, and Christian Kane from Nashville, and Gina Bellman from London, and myself from New York — everyone arrived in the Portland, Oregon, area. Then we all got on the shuttle buses and arrived in Mount Hood, and that’s where we started the year — filming for three days during a blizzard up on Mount Hood. Between a lot of snowball fights, we managed to get some filming in. CE: "Leverage" episodes in general are adventures, but this one really is epic. Were you excited when you read the script and found out what it would entail? TH: Yeah, like you just said, I really feel the same way, that each episode is quite the adventure. We’re in the fourth season now and we’ve done, I think we just passed the 50th episode, 51 or 52 episodes I think we’ve completed. Every one of those scripts we still, to this day, get excited when the writers give us the draft of the next episode. We get to read a new "Leverage" script. We love reading them, and we love bringing the scripts to life. It’s just a lot of fun. CE: And that shows, because they are a lot of fun to watch. TH: Absolutely, and for people who haven’t seen the show, it’s a very easy show to come in on. It’s not like you have to go back and see it from the beginning. It’s a fun show to kind of catch on to even if you haven’t seen it before. CE: When you were approached with the role of Nathan Ford back in 2008, what made you decide to accept the role? TH: I thought it was an interesting challenge, because of where the character started out. He started with next to nothing. He lost his son, his wife, his job and couldn’t be really much worse off — he certainly could, but he was in pretty bad shape — and he gets involved in this job putting together this Leverage team. It starts to become a climb back, a way to get his life back and find himself, find his own center. I thought that was a great way to start. They wouldn’t give a lot of restrictions, because he was so dysfunctional and in such dire straits. There weren’t a lot of restrictions about how the character could be played, how he would react to certain situations. It was wide open. He was so messed up that situations that were serious, he might find amusing. And situations that were amusing, he might be the one that found it serious. So there were endless possibilities how to play a character like that, because the character was so lost. 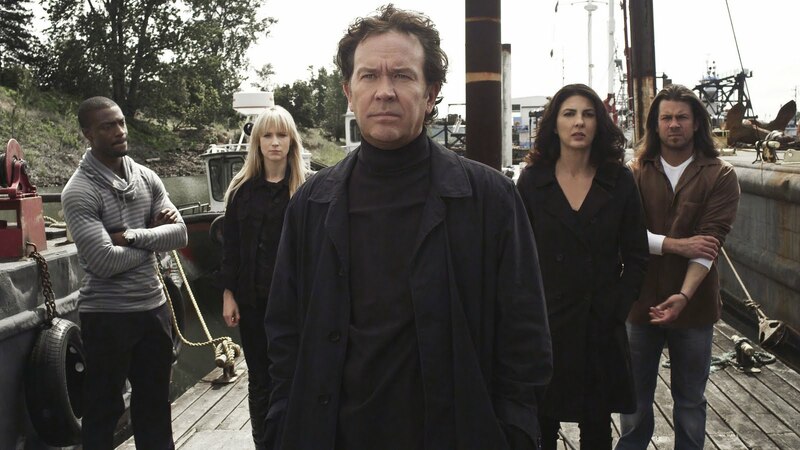 How the guy gets back to surviving on a day-to-day level, and I think that the other characters, the other people in Leverage, become kind of his family almost, and he finds a way to be able to get his life back in order in some ways. I also felt like I never wanted him to get it together too much, because then we wouldn’t have a character. We wouldn’t have a show. CE: I love the chemistry between you and the actors on your team – you actually seem like you are having fun. What is the mood on the set and how is it to work together? TH: The mood is very light on the set, and we’re always playing jokes on each other. When the day starts and everybody’s arriving at work at 6 a.m., you can just tell that everybody as a person is happy to be there. Monday through Friday, every morning, people are greeting each other and asking if they had a good night the night before, and how are they today. It’s just a very pleasant work environment. As I said, we just kind of keep things light, and I think it shows in the episodes. CE: You guys have had some great recurring and guest stars, like Eric Stolz, Jeri Ryan, Wil Wheaton and Goran Visnjic – any guest stars for season four you can give me the scoop on? TH: Well, we’ve been very fortunate to have some amazing actors come in to the show. Like when Eric Stoltz came and did the first episode, everyone was very excited. You feel kind of honored to have somebody who’s work you’ve admired coming to do the show. Even if you’re not working that particular scene, everyone comes to the set to watch. That’s nice to be in the fourth season and to have that kind of spirit, that kind of camaraderie, it's quite nice. We had just done an episode with Danny Glover, and people that had days off came to the set just to be able to watch him work, and say hello to him and welcome him to the set. It just lifts everybody’s spirits every day when you have these amazing people. I must say that the actors who live in and around the Portland, Oregon, area are just incredible. There’s a talent pool there, and we’re just scratching the surface. There are amazing, amazing actors there. CE: What can you tell me about season four and how the characters’ personal relationships will develop? TH: Well, there’s certainly going to be developments with the Nate/Sophie relationship. Them trying to figure out who they are together and what they want with or from each other. That’s certainly something that’s explored in season 4, as well as the Parker/Hardison relationship. There are interesting twists and turns that happen there. The other thing about this season that the Leverage team is being watched very closely. They are being hunted by certain people who would like them to stop doing what they are doing. So they’re a little bit on the run, and they’re being watched, and they realize they are being watched. It adds a nice element of danger to season four, where they’re not just independent free agents who can move about freely and take down bad guys. They do that, but they’re doing it at quite big risks, because they know that someone is out to get them. CE: As you look back on the first three seasons, what have been some favorite moments or episodes for you? TH: There was one we did — it wasn’t last year, but the year before last — it was, I think, "The Two Live Crew Job," and it was one that had Wil Wheaton and Griffin Dunne in it. That was a lot of fun. Another one, the season 2 finale, which had Richard Kind. It took place on a big freighter, and it’s the one that ends with Nate Ford saying, “My name’s Nate Ford, and I’m a thief.” Then last year there were a bunch of them. It’s hard to kind of single any out, because each one really has been such a blast to film. CE: One of the things I like about this crop of dramas on these cable stations, especially TNT, is you guys can do more and explore more than dramas on the basic networks can. Is that a quality that attracted you to the project in the first place? TH: Yes, definitely. I felt that TNT had a really great track record with "Saving Grace" and "The Closer." The way those shows, they just seemed to have an interesting way in which the stories were told, and they seemed to be not formulaic, and I especially liked the way that those shows were supported. You could tell that the network really got behind the programming and presented those shows in a really wonderful way. So there was that, and combined with the script of "Leverage" and the character of Nate Ford, and then added to that John Rogers being the main writer and Dean Devlin being the producer and the one who was going to direct the pilot, and it all added up to having everything in place for it to be a great show. I can’t believe we are in the fourth year already. It has flown by.